Change your life one morning at a time by committing 60 minutes each morning to a LIFE of S.A.L.E.S. Reinforce your foundation for success by implementing five simple S.A.L.E.S. steps daily: Silence, Affirmations, Lead Generation, Exercise and Scripts. 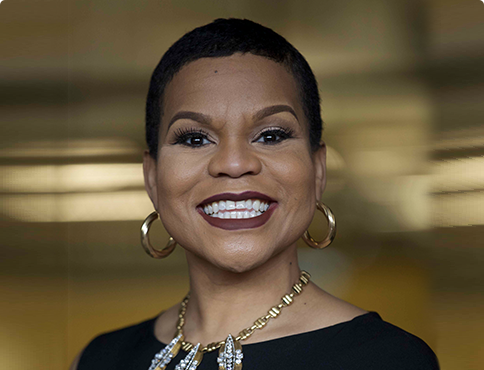 With 25 years of marketing experience, Marki Lemons-Ryhal is a fifth-generation entrepreneur, third-generation restaurateur and first-generation infopreneur and has established herself as an award-winning social media speaker and course author. In a market where change is the only constant factor, Marki has used her dynamic, professional attitude and vast experience to become one of the top speakers in the country, relying on content from one of the 15 classes she has authored. By consistently offering sound industry analysis and professional guidance, Marki's expertise has been featured in The Chicago Tribune, Chicago Agent Magazine, Forbes and REALTOR® Magazine and has also been included on CBS News Chicago and CNBC. In 2010, Marki was named the Illinois Real Estate Educator of the Year. Marki began her career in education in 1993 and currently works as a speaker and coach, teaching social media and technology classes for the National Association of REALTORS®, CHASE, Goldman Sachs 10k Small Businesses, REALOGY and Chicago City Colleges. She holds a Bachelor of Science degree in Management from Chicago State University and a Master in Business Administration from Saint Xavier University.